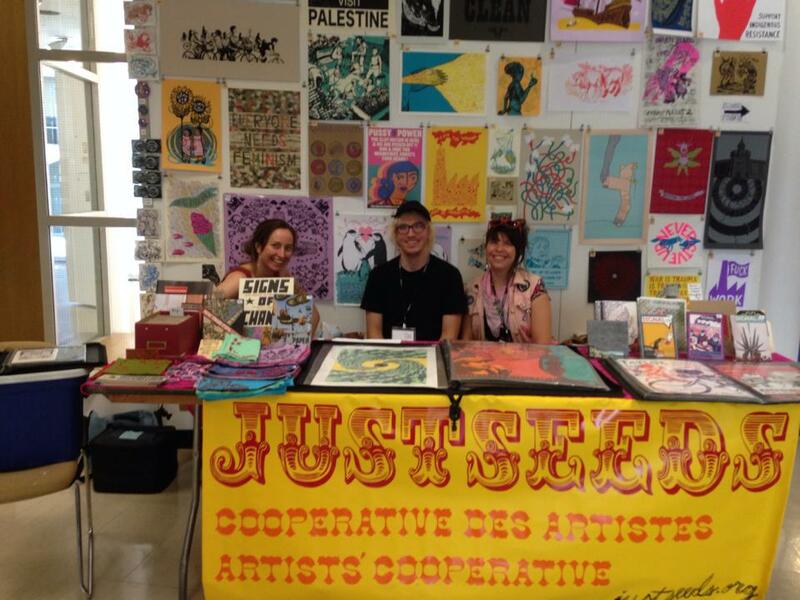 Jesse Purcell will be repping Justseeds at Expozine 2015. Look for us on the stage! The largest small press fair in Canada, two days of zines, comics, posters and more. Here is a photo of a different tabling scenario to get you in the mood!